Certified sexual harasser Isiah Thomas hired to run women's basketball team. 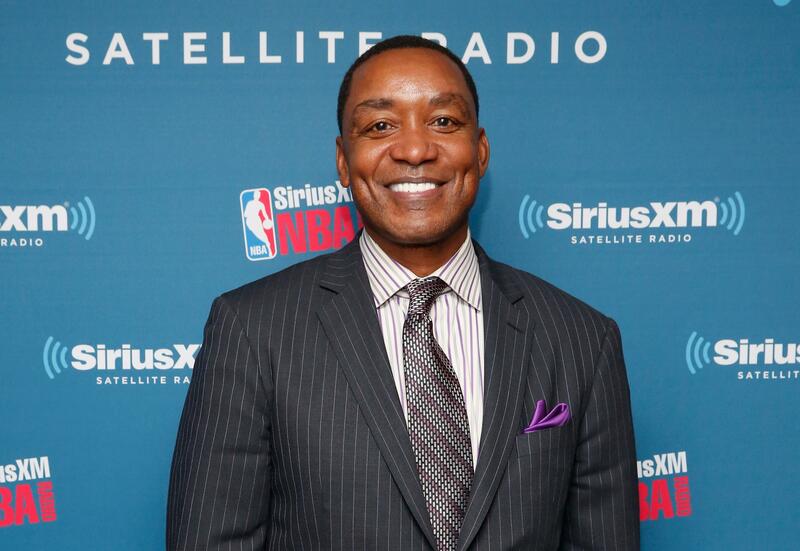 Isiah Thomas at an event in New York in February. Tuesday, the Knicks’ parent company hired Isiah Thomas as president of the WNBA New York Liberty. That’s W as in women’s basketball. Thomas, a star player for the NBA’s Detroit Pistons in the 1980s, also served from 2003 until 2008 as the Knicks’ president, a role in which he was phenomenally, perhaps unprecedentedly, unsuccessful. After leaving the Knicks, he took a job coaching at Florida International University from which he was fired in 2012. His record as FIU coach was 26–65. *Correction, May 6, 2015: This post originally misstated that the Knicks’ parent organization had to pay the entirety of the $11.6 million settlement.